Food is often accompanied by nostalgia as was famously demonstrated in the well known passage in Proust where the narrator was hit with a wave of overwhelming nostalgia while eating a Madeline dipped in tea reminding him of his childhood rituals. I had a somewhat similar but less intense experience when trying out Salamander Sauce from Brooklyn. My roots are in southeastern, North Carolina and as a result I have a real affinity and near superhuman tolerance for hot sauce which pervades the everyday diet (at least in my household). 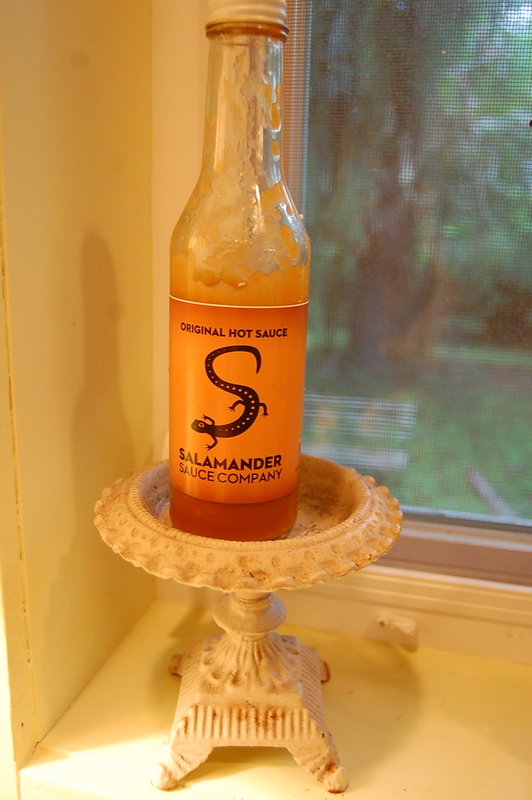 Salamander Sauce company makes three sauces at present; Original which is the company's take on hot sauce. Salamander Sauce Original is of course hot, but it has a different kind of heat to our palate. Something that was more reminiscent of the deep, sharp heat that I had grown up with in the BBQ belt. I felt a pang of Proustian nostalgia along with pangs of sweet pain from the Salamander Sauce. Lynn used Original Salamander on baked cauliflower which kicked them into orbit. When football season rolls around this combination could be a more nutritious version of buffalo hot wings. 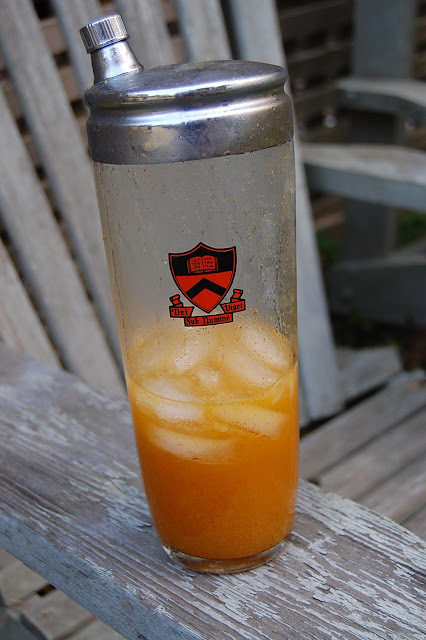 And, always creative, Lynn made a super potent bloody Mary like concoction with the OS and vodka which despite the heat was somehow perfect for a hot summer day.